Like you I am a huge admirer of his work and was honoured to briefly meet him many years ago at The Foreign Correspondents Club here in Hong Kong. He is a very quiet and modest man and believes his work speaks for him. One of his greatest regrets he told me was that during The Falklands War he was denied permission to accompany British Forces on their mission to recapture the islands. Even though he had the full support of The Times of London and the Commanding Officers of several of the Royal Marine and Parachute Regiment battalions going 'down south' someone very high up in The Ministry of Defence was determined to stop Don going with them! What a terrible and unforgivable error on the part of some pen-pushing, desk wallah!!! 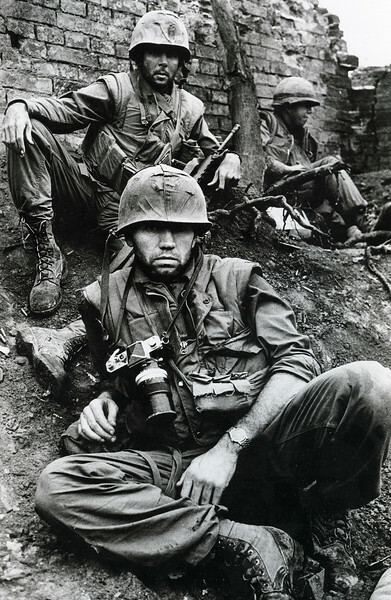 One other small note...That great photo of Don McCullin with the Marines in Hue was taken by another great photographer, Nik Wheeler.